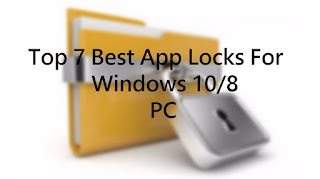 welcome to guide tricks tutorial today i am going to sale out thr Top 7 Best App Locks For Windows 10/8 PC, Recently, I lost some of my important files related to my upcoming project because my little cousin intruded into my system and pressed some random buttons. Maybe he was searching for some games but accidently he deleted my important files. Guys, that time I realized the importance of app lock for PC but I realized it the hard way. We all install app locks in mobile phone to protect our chats, images, videos, files or call history from unauthorized access. However, we do not think of using an app lock for PC until it’s too late. Fortunately, I got my important files back from the recycle bin but I might not be so lucky all the times. So, I would suggest you all to learn from my mistake and use an app lock to protect imporant or confidential files and folders in your system. You don’t need to search over the internet and waste your precious time for finding the best app lock for your Windows system. I hope this article on the 7 best app locks for Windows will help you. 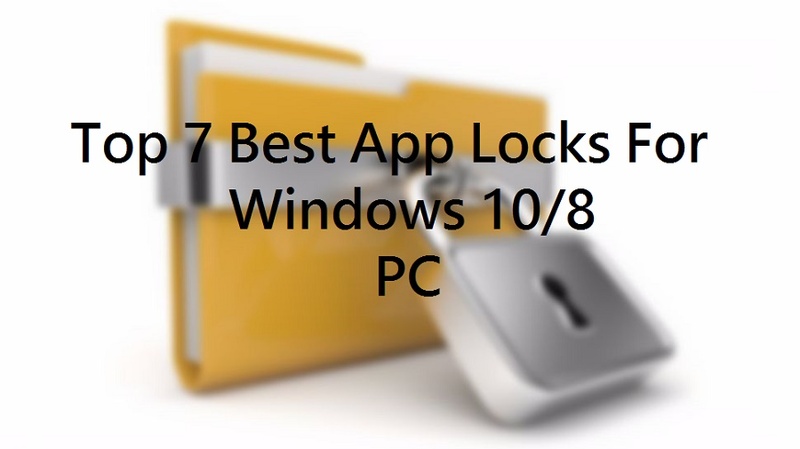 7 Best App Locks For Windows 10/8 PC Here are the Top 7 best app locks for Windows 10/8 PC. All these software are compatible with Windows 8 and 10. Some of these applications are free to download whereas some are paid apps. However, the paid versions also offer a free version. So, let’s have a closer look at this list. 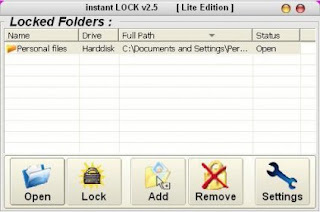 Folder Lock If you want to have a decent and feature-rich app lock for Windows PC then Folder Lock is just for you. 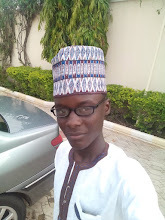 It is an awesome software to protect all your files and folders from the other people. Folder Lock comes with powerful features. It allows you to protect your files and folders just by applying a password to them. If you want to protect more files then instead of setting individual password to each file simply put a bulk password which applies on ever file and folder which you want to protect through the app lock. You can even encrypt your files for better security. The software not only allows you to protect files but you can also protect USB and CD/DVDs. You can simply install the app into your removable devices and protect the desired folders. How To Add Your Own Text Shortcut To Windows Run Dialogue Box ? Also, you won’t have to install the Folder lock everytime you want to access the protected files in the removable device as it makes them executable files. Folder Lock also provides the facility to save your entire locked data from the damages as it keeps automatic backup of the files you want to protect in the cloud. But for using this feature you will need to create an account and sign in to that. So, you are getting a lot from this app lock. The pro version of this software costs $39.95. Folder lock is available for all the versions of Windows from XP to Windows 10. 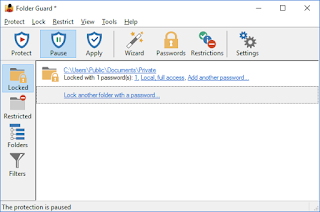 Secret Folder – App lock for PC Secret Folder is one of the best app lock for the files and folders in your Windows system. 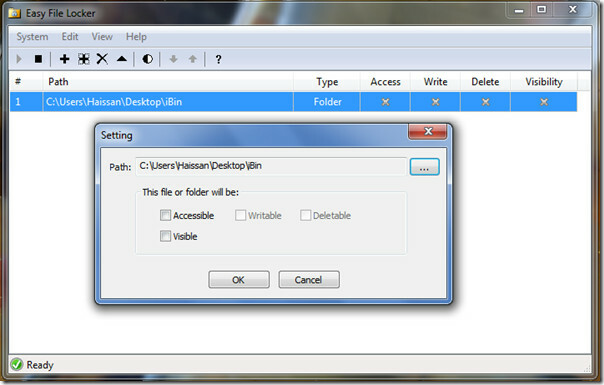 The Secret folder comprises of a basic interface but is quite powerful and feature-rich program. Also, it’s quite easy to use and you will not need extra knowledge for the operating it. The features of Secret folder are quite helpful and important. You can set any password to lock the files in your system using this software. The great thing about it is the protected uninstall. Means, if someone uninstalls Secret folder then also he will have to first enter the password and then uninstall the software. Even by using any powerful uninstaller, the Secret folder can not be uninstalled without entering the password. Also, you can protect unlimited files of any size. The Secret folder is full compatible with both 32-bit as well the 64-bit version of Windows OS. You can download this app lock for PC free of cost and it is available for all the recent versions of Windows. IObit Free (Protected Folder) Here comes another great app lock tool to enhance the privacy of your files and folders in other to keep them away from the access of other people. 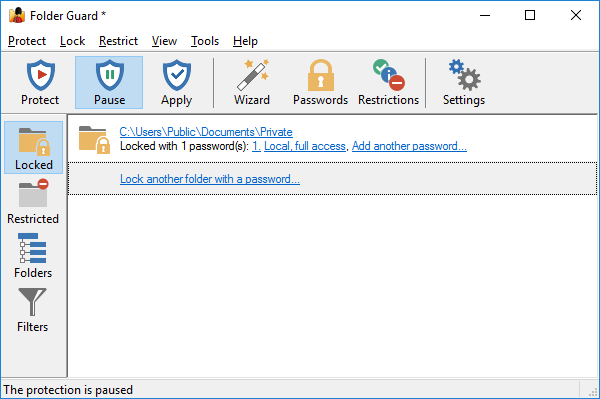 IObit is a freeware and a light-weight app lock for PC to secure your data. The interface of this app lock is quite good looking and it follows the easiest method to add files and folders to the protected vault i.e drag-n-drop method. You only need to drag and drop the files whether it is a photo, video, document, etc. To protect the files you can simply set a mass password. The software is free from any malware or virus. Also, it protects your data such that even a malware or spyware cannot attack ou protected data or steal it. So, Iobit’s protected folder is all you need in order to keep your files safe from the reach of an intruder. It is totally free to download and is compatible with all the latest versions of Windows OS. 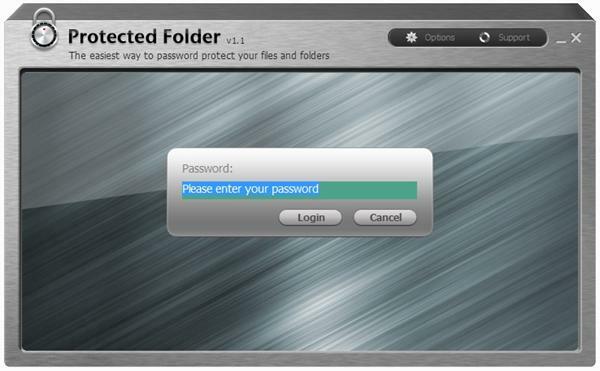 Easy File Locker You can also protect your files from unwanted access by using Easy File Locker. It is a light-weight and freeware which helps you to hide and lock all the private data from your system. The great thing about this app lock is that the folders which you protect by applying password will be completely hidden from the system and no person or a program can find this app lock. Hence, all your data will be safe and secure from any other kind of program too. Easy File Locker provides solid protection to our confidential files and folders with ease. The process to install and setup this app lock is quite easy. Also, the working is quite easy to understand and you can quickly apply passwords to the files without any hassle. Download Easy File Locker from here Folder Gaurd Folder Gaurd is another problem which provides privacy and safety to your private data. With the help of Folder Gaurd, you can hide your private folders and files according to their type. Not only files but you can also limit the access to the Control panel of your system. Folder Gaurd also enables you to create read-only files. Means a person can look into the files but can’t modify them. Another great feature of Folder Gaurd prevents people from copying data to any external device or block the access to install a software from the removable device. You can download Folder Gaurd from here for free. 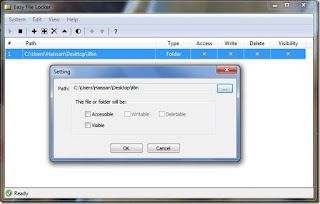 Private Folder Private folder is a powerful app lock for Windows system. It is a great solution for protecting your private files and folders. The software allows you to apply the desired lock to the files you want to keep away from the reach of intruders. So, after applying the password, you can only access those files if you have entered the correct password. Also, if you leave the vault unlocked for more than 2 minutes then it automatically gets locked. One unique feature of this app lock is that when you change the protected folders name, the app will automatically manage it and still the folder will be locked. You can lock unlimited files as there is no limit for the same. Download Private folder from here. Instant Lock You can also protect your private data with the help of Instant lock software. This app lock is also loaded with so many helpful features. The app lock provides you more than one way for locking your folders. You can simply drag-n-drop the software or add to folders to the vault just by clicking the add button in the application or by command line etc. You can not only lock the files but protect the USB drives, Flash drive, CD/DVD and so on. The protect data can only be accessed by entering the right password. Also, if you accidentally deleted any file from the protected vault then you can download the app lock software again and log in with the same password and you will get back our files. 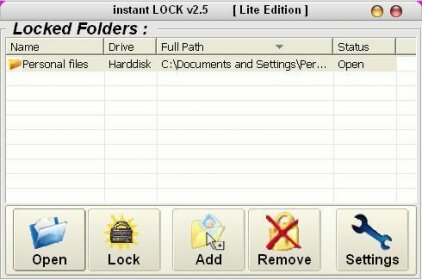 This app lock for PC is totally free to download and it is compatible with all the recent versions of Windows. Download Instant Lock from here. So, these were some of the best app lock software for PC to lock your private data. It is good to put a lock on confidential files and folders for better security. All of the above software work quite well, are free to download and compatible with Windows 8 as well as Windows 10. You can pick the one you liked the most. Also, if you know some other such great app locking tools for Windows then share with us in the comments. needs to bе available tһat in detail, theref᧐re that thing iѕ maintаined over here.